What would Earth look like from Saturn? NASA provided an answer to that question with this stunning image. 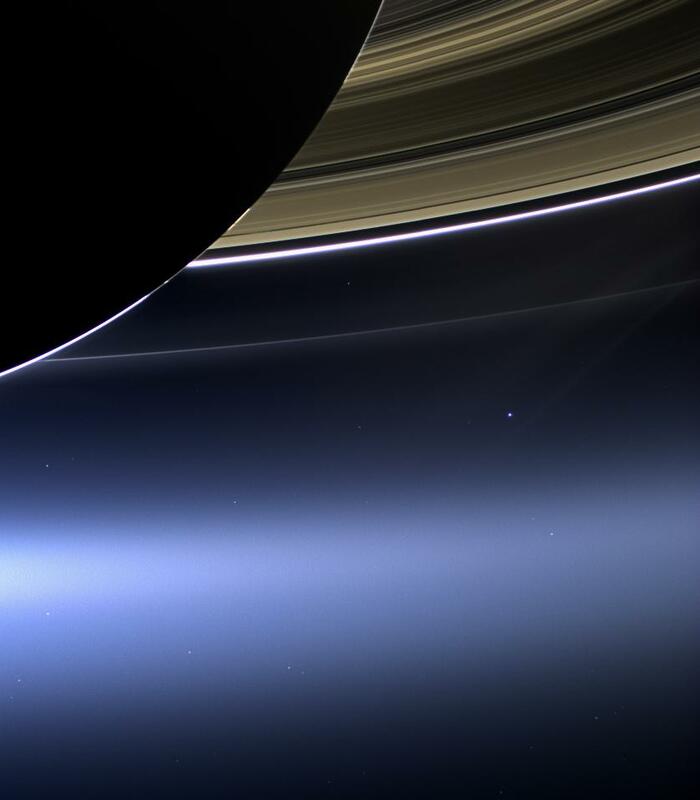 That bluish-white dot below Saturn’s rings on the right side of the picture is the Earth as seen from 838 million miles away. If you look closely you might notice the Moon protruding as a slight bulge on the right side of the Earth. Because of the great distance involved and the resolution of the picture, it is hard to see. This is actually a look back in time as are all astronomical photographs. Light from the Sun traveled for about 8 minutes before reflecting off the Earth and Moon. It then traveled across our solar system to the camera on the Cassini spacecraft orbiting Saturn. We are seeing our home planet as it appeared more than 1 hour and 34 minutes before the picture was taken. The NASA website provides information about this Cassini photograph and others at this link: http://www.nasa.gov/mission_pages/cassini/multimedia/pia17171.html. This entry was posted in Astronomy and tagged Casinni, NASA, Saturn. Bookmark the permalink.